There has long been debate about whether the Apple eBay Store is actually 100% official or not, with some believing that Apple lets a third-party run its eBay presence so that it doesn’t have to worry about it itself, but the general consensus is that it’s as good as official. With that in mind, it’s often been a good place to bag a good bargain. The store has had a restock recently too, which means you’re going to want to check it out if you’re eager to grab yourself a new gadget to play with. Especially if you’re on the lookout for an iPhone 5, because the eBay store in question is now offering factory refurbished iPhone 5 handsets, in a variety of colors and configurations, ranging from the price tag of $449. For that, you’ll get a factory unlocked 16GB GSM model, with more spacious models available if you’re willing to drop a little more dough, which is quite obvious. The more you pay, the more you get. That’s been a rule ever since markets existed. Right now, the store is claiming to have limited quantities of each model on offer, so if you’ve been waiting for just the right deal on a refurbished, unlocked iPhone then now is the time to strike while the iron is hot. That said, with the iPhone 6 due to arrive sooner rather than later, it’s a pretty safe bet that the price of said iPhone 5 models will drop yet further, especially as people start to trade their old models in as they upgrade. Still, if you keep waiting for a better deal, then you’ll never actually buy one! 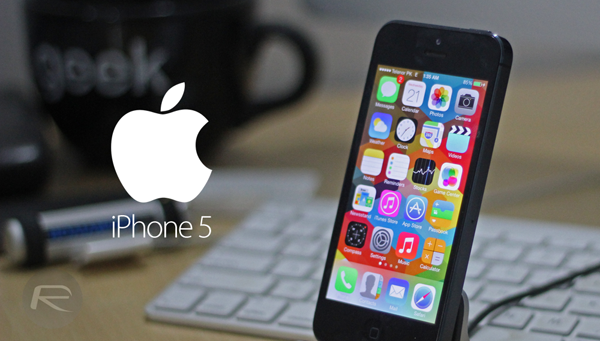 Even though it is about to be two generations old soon, the iPhone 5 is still a very good smartphone, and with iOS 8 coming to the platform alongside the new iPhone, the older model is set to receive a new boost in functionality even on its second birthday. You can’t say that about many Android phones now, can you? 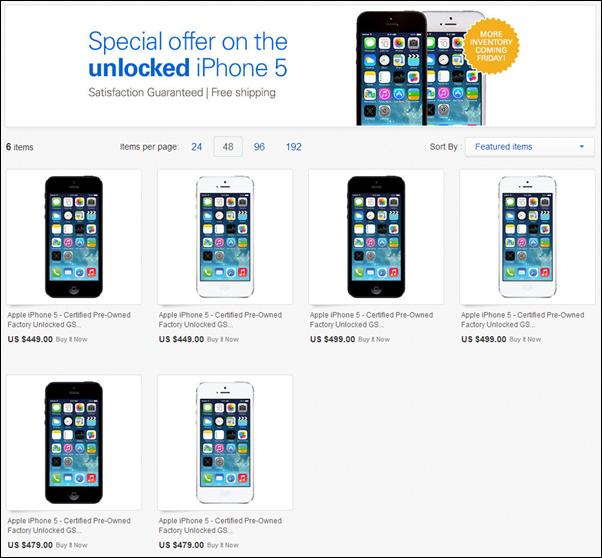 We really wish the eBay store flourishes with iPhone 5s and 5c units as soon as the new iPhone 6 is out. After all, a little choice in the hands of consumers is always a good thing, isn’t it?